I have been watching everything dealing with Toy Fair 2015 so I thought I'd make a toy thread. There is already one for Legos. Feel free to post anything about any toys. The one thing I liked most from Toy Fair 2015 was the Batman The Animated Series Batmobile. Working lights and wheels. Fits to figures from the TAS line. Cost is $89 to $100 dollars. Anyone seen any 12 inch skeletons? I could only find 6 inch and smaller ones. 12"? No, the best most people collect are the figuarts 6". One guess for who's my favorite GG character. Definitely my most expensive purchase. Got it as a present to myself for Christmas. Her legs are so weirdly shaped though, couldn't tell from the angle in the pic or too busy thinking about buying it to care. Her legs don't even follow the shape they would take if they were being drawn in a comic or manga. toyfair 2018 is going on now. So far from toyfair I'm liking the mohawk Storm. I'm also liking the new true scan tech legends is using for their new figures. They scan the actor's face and print the toy head from that. The hot toy black panther has some kind of glow effect. This is the one for the new movie and wont be out for at least a year. I was sad I didn't see any hot toys for the warrior women. If I'm not mistaken there are zero black hot toys women. Video shows how to make a Shuri from Black Panther doll. I thought it turned out pretty good. Figures normally selling for $150 are going for $37. Most seem to be sold out but there are still a few still up for sell. Oh some are as low as $20. I immediately put myself on the wait list, although the store page says pre-order? Whatevs, it says $90 now. I would pay more. I thought it was originally $70. Be careful square enix figures are nice looking but have a reputation for being very brittle. Shuri is being released as a hot toy. Would like to have one of the warrior women instead but this is a start. Hmmm might be the only black hot toy female figure to come out. If only I had a bunch of spare money hanging around, I'd absolutely get Shuri. Changes out the hands was scary. I need a hair dryer. Had Harley in a box for about a year. Decided to break her out. 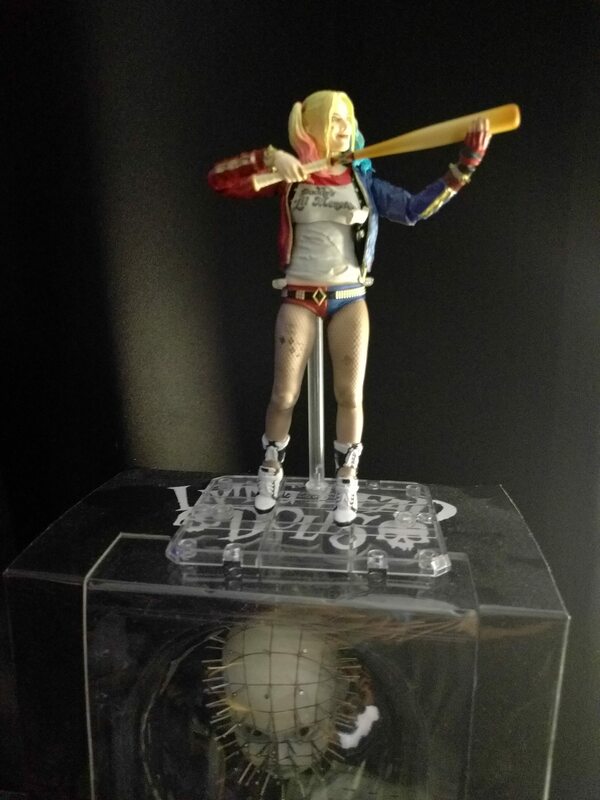 Need a better spot for her though. Man I have to do some dusting also. There is desert on baby pinhead. Thinking of trying my hand at making a witch's costume for one of my dolls. Also want to make a hijab. Those two things are related. That reminds me I need to breakout the vampire and witch dolls I have. Maybe rotate out the stuff for skeleton figures. I have ghost rider, scorpion, samurai skeleton, and lady death on skull throne. Those work as halloween themes I think. Just posing some of my figures. I'm disappointed in my marvel legends spider gwen. Can't put her legs straight out. Trying to get her in a spider crawl like spiderman is always in and can't do it. 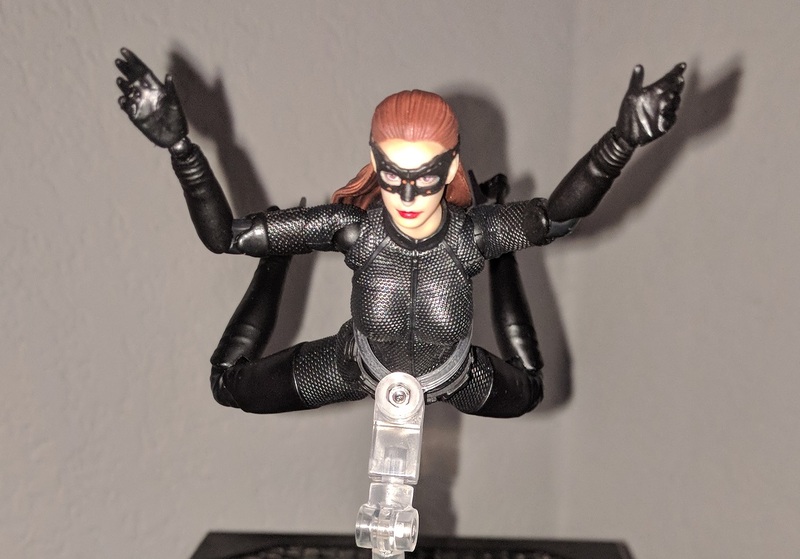 I hope all marvel legends legs aren't like this. I bought a cheap 2B (Nier: Automata) figure. It broke and doesn't look good, what was I thinking. Oh wait, I guess I do know. Did you get a chinese knockoff? I haven't seen real one that was cheap. The 12 inch runs around 150 to 250. The 6 inch from 70 to 90. Dollfie version is around $900. I think smart doll is also doing neir but they run for around $600. Did you get a chinese knockoff? I just went around looking at reviews. Multiply people had hands and arms break off on the real versions. 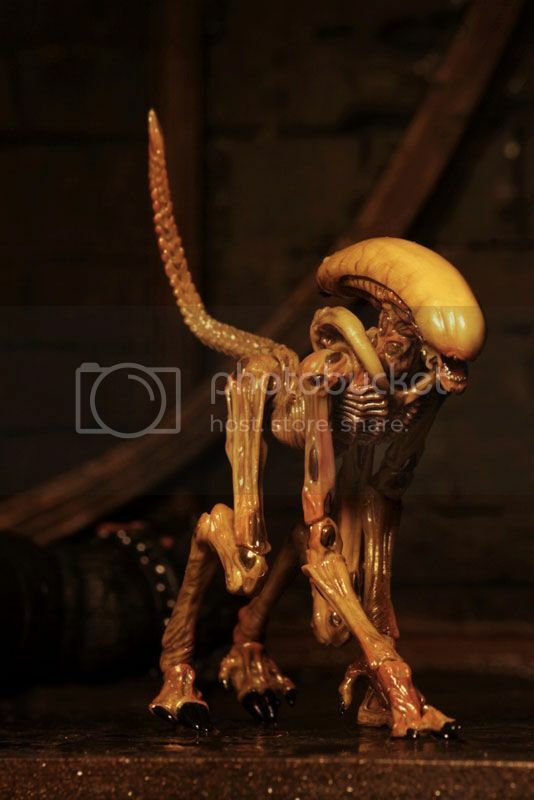 I have no idea how they do it but sometimes chinese knockoffs are made with the same molds, so they can have the same problems but made even worse because the material is sometimes cheaper. 1000 Toys android and Mafex Catwoman. Android is very posable maybe the most posable figure I ever seen. You can even move his eyes. Catwoman doesn't have ankle movement or toe movement. I got her confused with a different one that has ankle movement. It is a big negative but I'm keeping it. 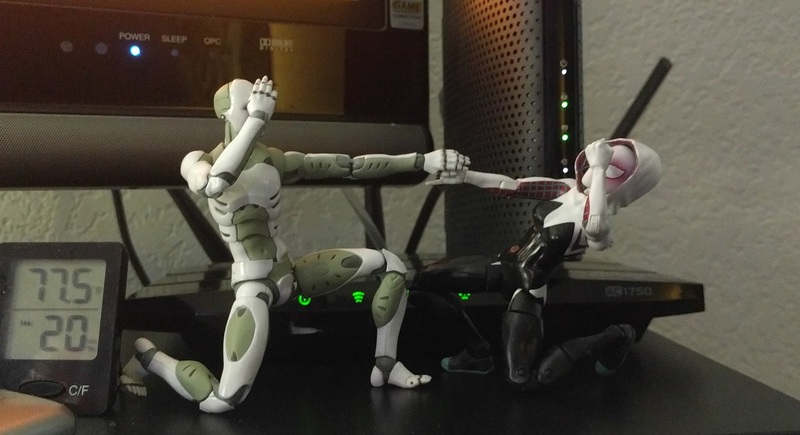 Old spidergwen is dancing with the android. Thinking of selling her for a different one. Anyone know of or have a reputable retailer in Japan? Or suggestions in general? I am thinking of trying to procure one of these (try not to laugh at my likely futile effort). Anyone know or have a reputable retailer in Japan? Or suggestions in general? I am currently thinking of trying to procure one of these (try not to laugh at my futile effort). Only website I've ordered from before that still has it for sale appears to be Amazon. Keep in mind Amazon Japan is one of the new Amazon sites that requires a separate account. amiami or hlj are two of the biggest. One thing about these types of items and retailers is they typically open up a pre-order time frame. You may see the pre-order up a couple of times before release. After release they may periodically have the item available but if you really want something you need to pre-order it. Bigbadtoystore does a lot of import stuff for these items but you'll pay a few bucks more. but you'll pay a few bucks more. Thanks a bunch for the suggestions folks. After digging into Japanese retailers that have that item in stock (all of which have increased the price WAY above suggested retail) and looking at long-term pricing trends of similar items I realized that the odds of me finding one remotely close to initial retail is, well, remote. Perusing ebay at the moment as the prices are similar if not cheaper (shipping) than Japanese retailers. Regardless, unless I find a "down on their luck" otaku willing to cut me deal, I will have to pay the "should of pre-ordered" tax. Be careful, you can easily get a Chinese knock off on ebay unintentionally. There is a site (I'll need to find it this evening since I have been out of the action figure game for a little bit) that will send you a message if the SKU gets back on stock on some of those sites. Old enough to know better,but I don't.